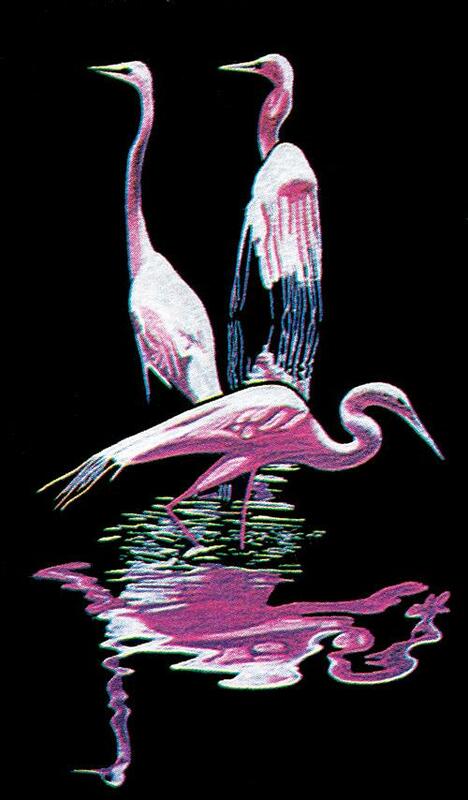 Egrets Wall-hanging is pre-shaded on black velveteen. Measuring 54 x 31cm. Using colours: 1, 72, 82. Use regular ball-point tips on your paints or Jumbo Tips are also useful on the velvet fabric. It is recommended to place a Blotter Sheet (1632) underneath the velvet whilst painting to provide a firm surface.